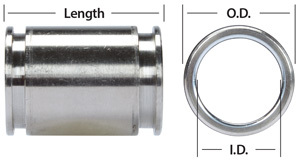 If your pump does not have a model number label, you must measure either the cylinder (piston pump) or the ceramic plunger (plunger pump), which are highlighted in the illustration below. 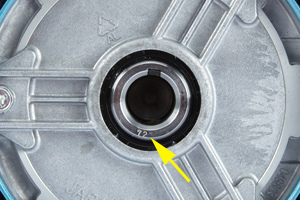 The serial number which is clearly stamped into the lower side of the crankcase above the mounting flange is not intended for pump identification. 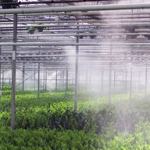 These serial numbers can assist you in determining “Effective Dates” for changes in pump construction, performance, or design which are highlighted in the Technical Bulletins. 1: Remove pump discharge manifold to access cylinders. 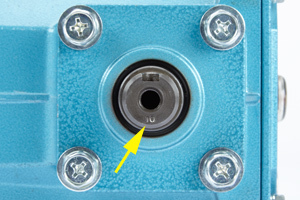 1: Remove pump manifold to access plungers. 3: Identify the stroke of the crankshaft. The stroke is printed on the end of the crankshaft. 3: Identify the stroke of the crankshaft. 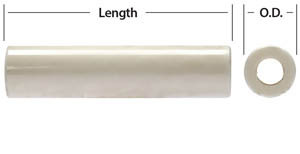 The stroke is printed on the end of the crankshaft for both hollow shaft and standard models. If you have a hollow shaft pump, you will need to remove the pump from the engine/motor.